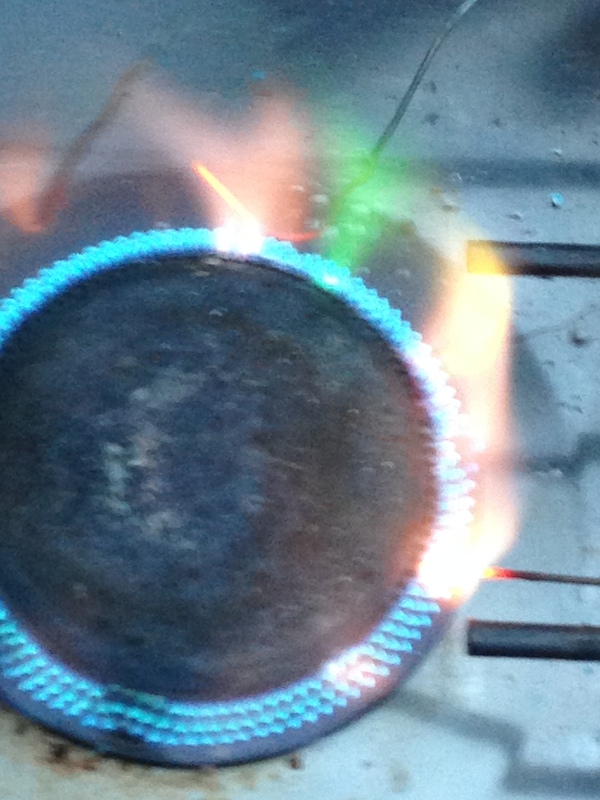 Burn different metals on a propane stove or in a camp fire, and see the colours they make. Push the straightened paper clip into the cork, to make a flame test tool. Dip the wire in water, then in salt, then put it in the flame. The flame should be yellow. Burn everything off the wire. 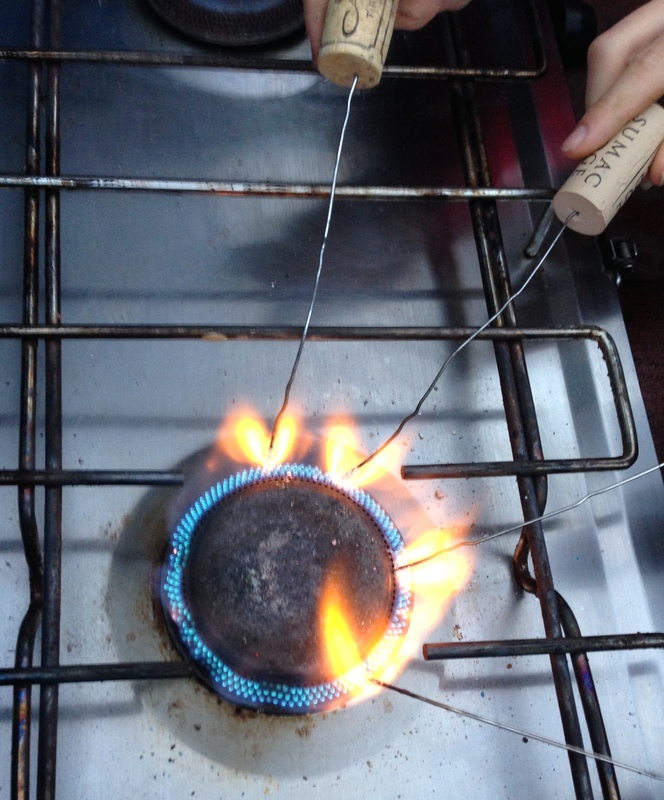 Dip the wire in water, then in copper sulphate if available, then put in the flame. The flame should be blue/green. Potassium chloride, in large enough amounts of powder in the flame, burns purple. 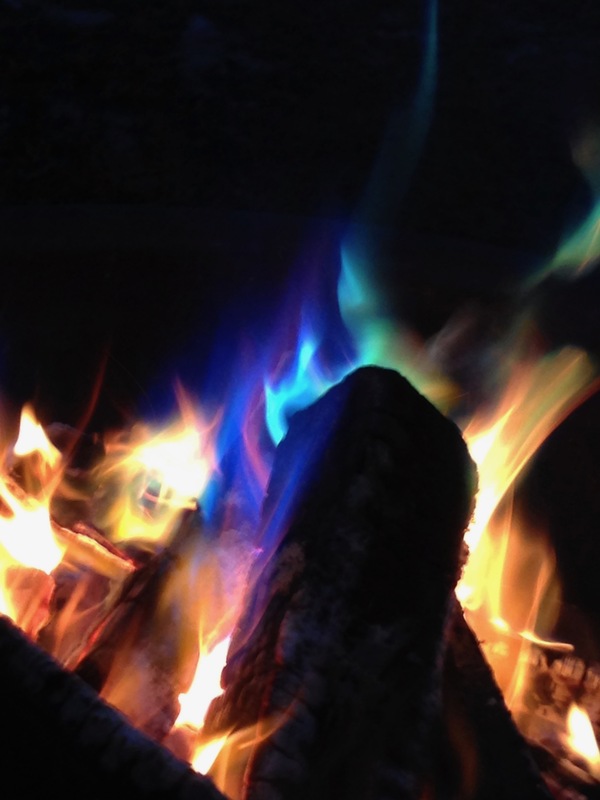 Throw copper sulphate into the fire, to make green-blue flames. Boric acid crystals make green flames. The colours appear when electrons in the metals, excited by the heat, fall back to lower energy states and release light. Fire can be different colours depending on what is burning.